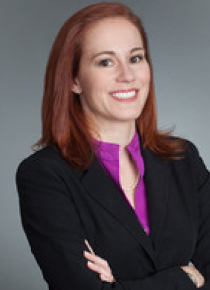 Elizabeth is a technology-focused policy and transaction attorney specializing in the development, security, and scale of emerging technologies including drones, smart cities, and autonomous vehicles. As the VP of Strategy for Prevailion (a cyber security threat intelligence company), she oversees the development and implementation of legal, policy, and strategic partnerships. Prior to joining Prevailion, she served as the Senior Assistant City Attorney with the City of Atlanta responsible for advising Hartsfield-Jackson Atlanta International Airport on technology policy and projects - including the airport’s “first of its kind” safety risk assessment and integration of drones into airfield operations at the “World’s Busiest Airport.” She also served on the immediate incident response team for the City of Atlanta’s 2018 ransomware incident.Elizabeth is the former host of the “Buzz Off with Lawyer Liz” tech-focused radio show and “Lawyer Liz” podcast and is a frequent speaker on IoT, drone, and aviation cybersecurity issues at conferences and events including SXSW 2018, ShmooCon, Airports Council International-North America, and GSMA Global Innovation Forum. She is President of the Atlanta Chapter of the Association for Unmanned Vehicle Systems International and a member of Business Executives for National Security. She serves on various national technology and information security regulatory working groups and is a mentor for CyberLaunch VC’s startup accelerator. Elizabeth received her J.D. from Georgia State University College of Law and her B.A. from Virginia Tech.